Raised by her mother, eighteen-year-old Dani Lancaster only had six weeks to get to know her father, Sam, before he lost his battle with cancer. 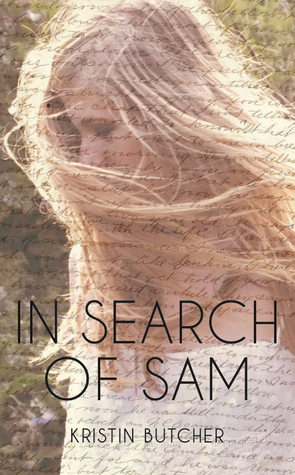 It was long enough to love him, but not long enough to get to know him especially since Sam didn't even know himself. Left on the doorstep of an elderly couple when he was just days old, and raised in a series of foster homes, Sam had no idea who his parents were or why they had abandoned him. Dani is determined to find out. With nothing more than an address book, an old letter, and a half-heart pendant to guide her, she heads into B.C. 's Interior to Kamloops, Barriere, Merritt, and finally to a small, forgotten town teeming with secrets and hopefully answers." This is a wonderful story of paying it forward. As well as a eye opening reality of how secrets can affect so many lives. This story will have you smiling and tearing up and sometimes on the same page. We are in the front seat of this unfolding story as Dani Lancaster. She is searching for a part of herself she already thought she knew. Only to find out a secret had been kept from her. Her mother who is on her fifth marriage was in love with a man called Sam Swan. She became pregnant by him but they do not end up together although both their hearts still belonged to each other. Dani was the result of that love. On her early completion of high school she is not only handed her diploma but she is told that there is an uncle that she has never met and has come back into the fold. It was working until she was helping to clean up around her so called uncle’s house and well she found medicine bottles in the trash. She called her mom to talk to her about them. In turn her mom called her dad and said you are going to have to talk to her for she knows something is up since she found the medicine bottles in the trashed can. Now the stay with her father had come at the perfect time because that was when she was going to be marrying her 5th husband. The next thing you know her and her step-dad were at the hotel near where she needed to be. He flies home and she drives her new car to the lawyers. As she thought her left her the property, the trailer, and the truck. What she didn’t expect was the sizable sum that could pay for university and a key for a safety deposit box. His lawyer said to deposit the check and take what was in the box out. So, she does. She’s on over-load so takes it back to the hotel and goes through everything there. She finds minor clues to who and where her dad may have come from. You see while her dad was alive she did find out that on the day he was born he was left on the doorstep of an elderly couple. They were so afraid he would be taken away from them they told know no one that they had him until he had to go to school. So they had to let him go and so they did which means they had to tell someone. Yes, he was taken from them. They never saw him again. There was a letter to her, his wallet with a hidden picture, and a crudely cut in half heart on a chain, and an address book with one number she thinks might help. With these clues Dani starts a rewarding adventure she wishes hadn’t have cost so dearly by cost her dad’s life though. This was just a wonderful read. I give this 5++++ Stars.